The Things Uno was designed with a low barrier for building proof of concepts for IoT projects using LoRaWAN in mind. Make an existing project wireless with up to 10km range by simply swapping the current Arduino board with the Uno. It is an Arduino Leonardo based embedded SBC solution with an integrated Microchip LoRaWAN (Long Range WAN) RN2483 module and on-board antenna. 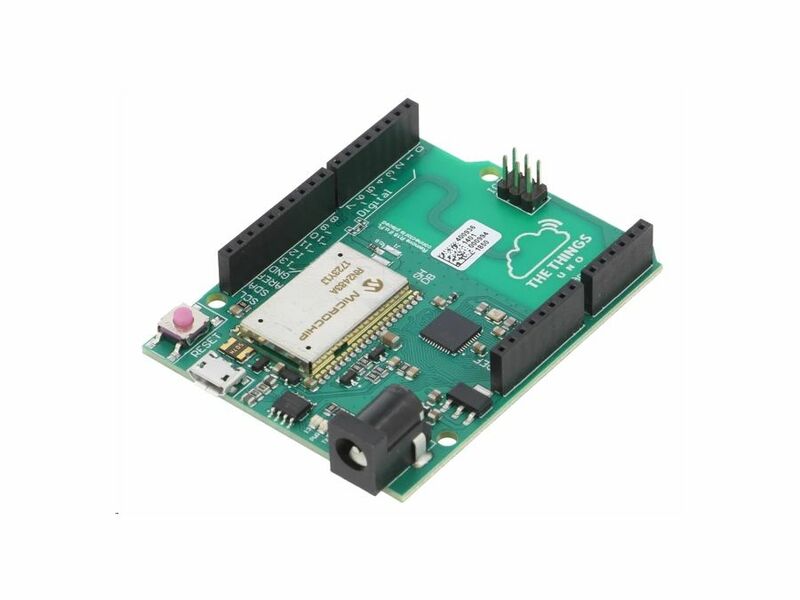 It is completely compatible with the Arduino IDE and Shields and can simply replace your current Arduino UNO board to add long range wireless capabilities to your projects. An optional external antenna can be added to maximize the range. Combine this with The Things Gateways and Nodes to build your own connected IoT network for embedded, sensing and connected city applications. This version operates on the EU approved frequency 868MHz.